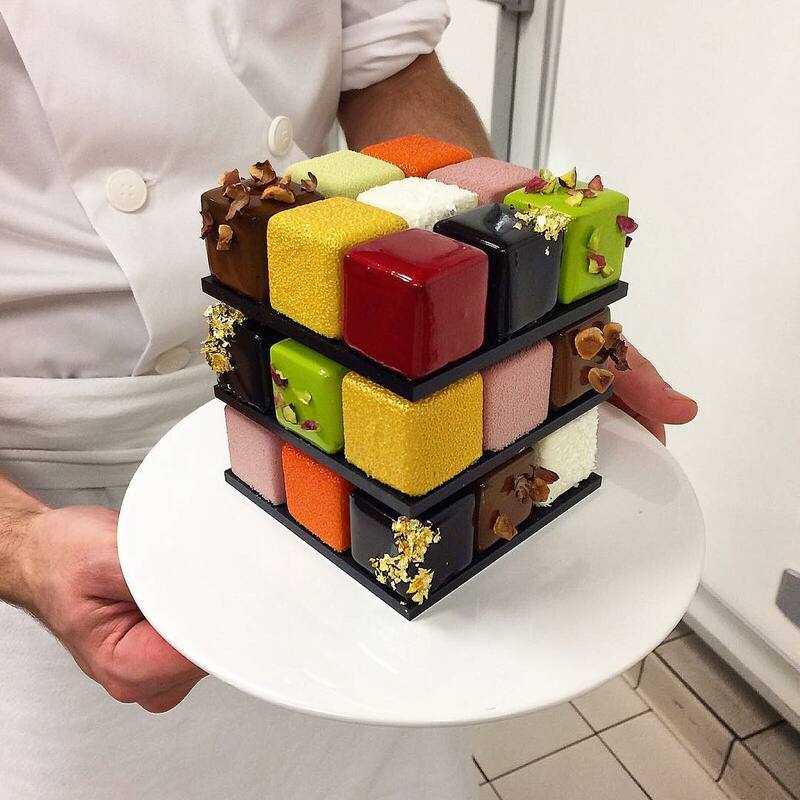 If you’re serious about your pastries, you’ve probably already heard of the French chef Cédric Grolet, who’s according to the Relais Desserts association, was the best pastry chef in 2016. 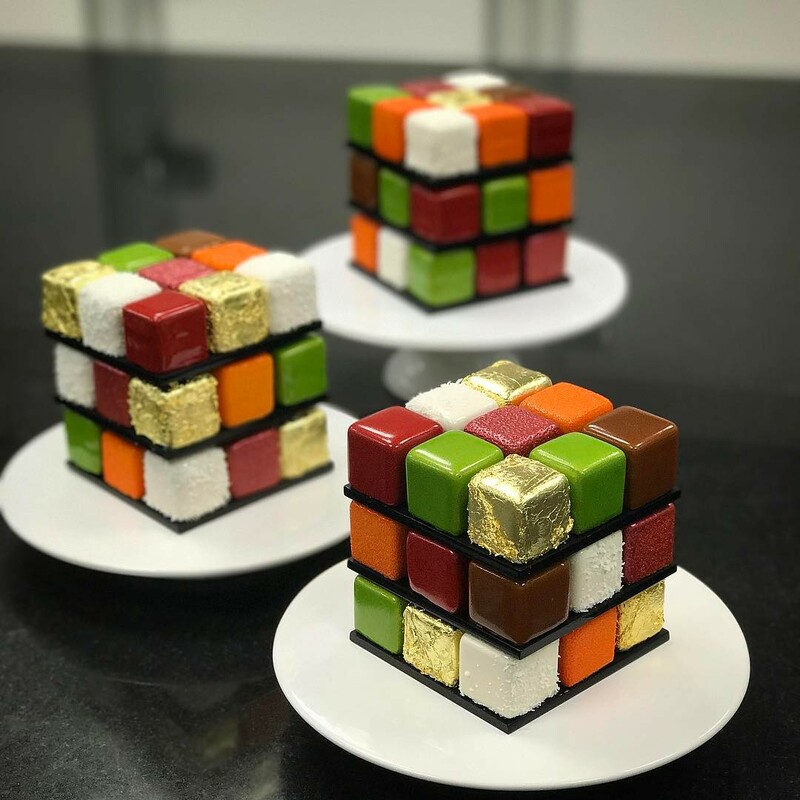 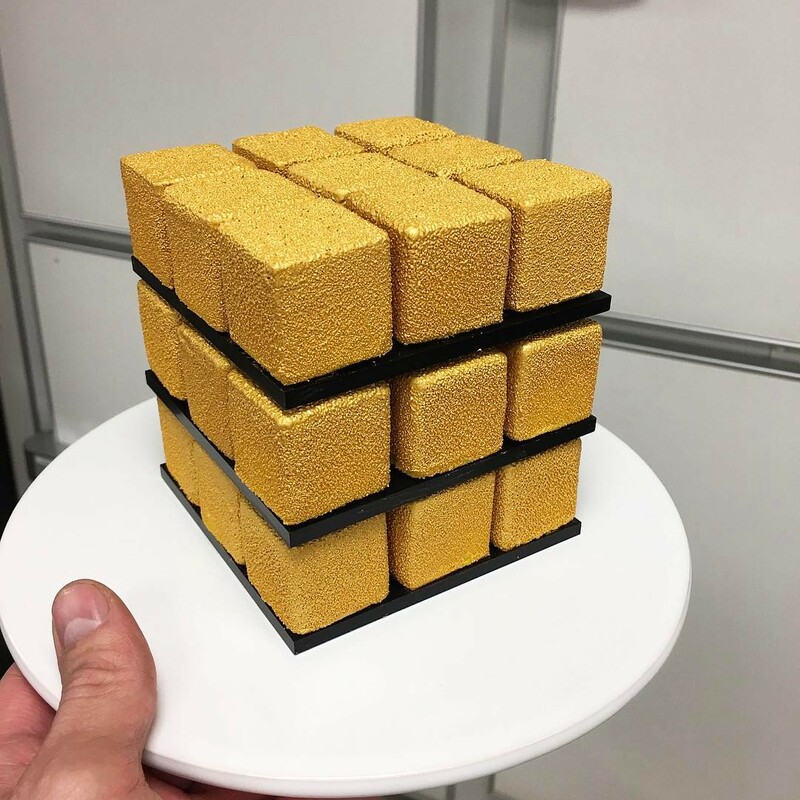 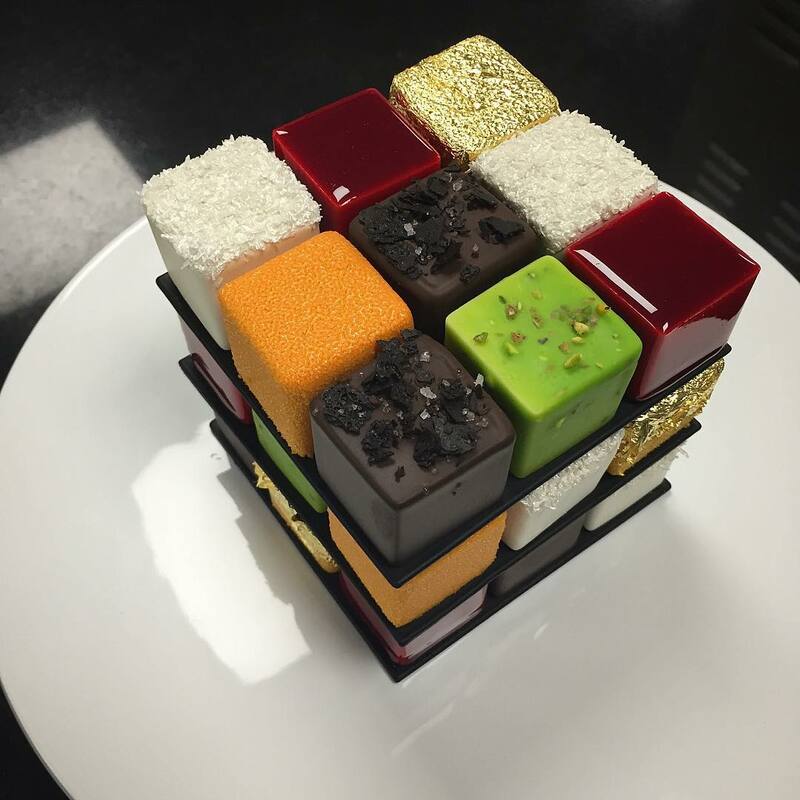 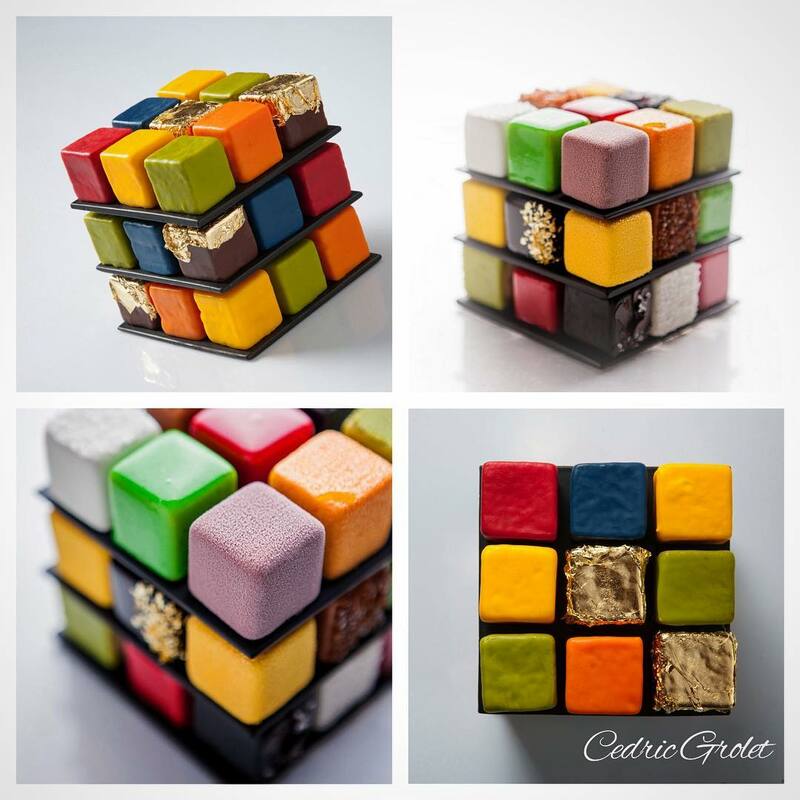 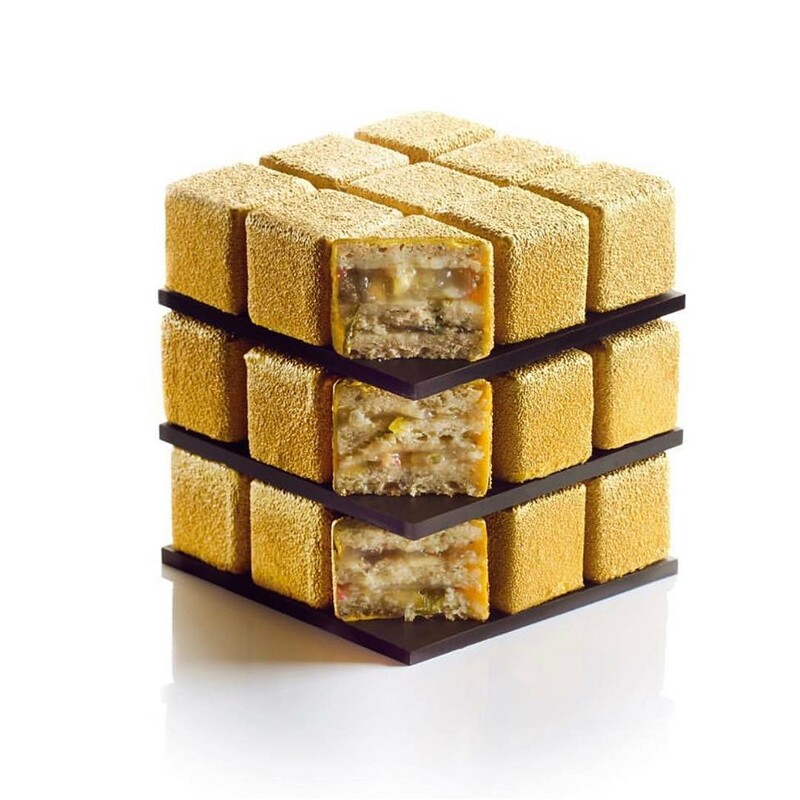 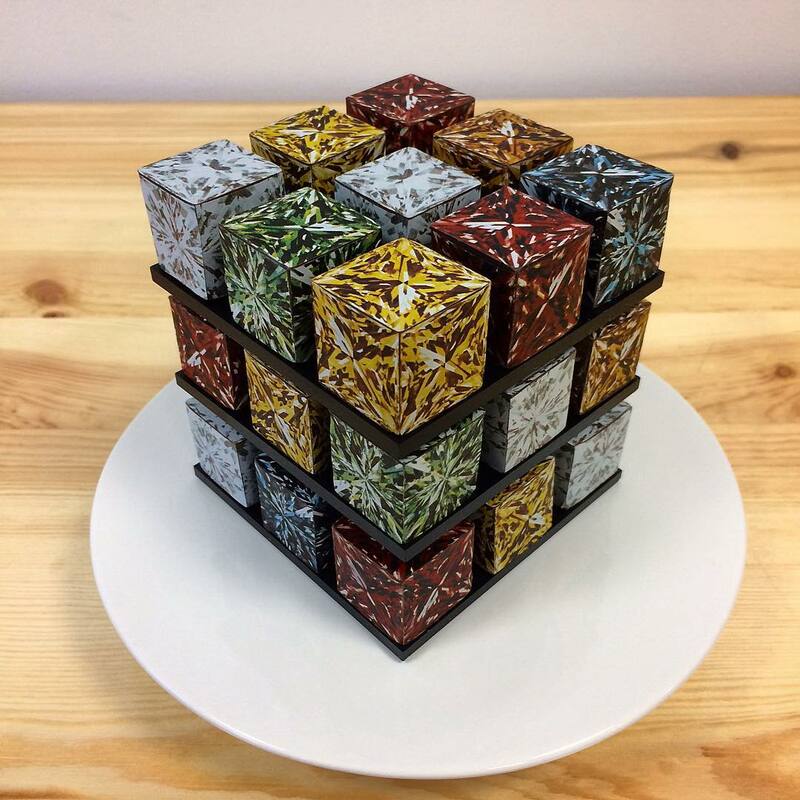 If you haven’t heard of him, though, there’s no better way to get introduced to Cédric’s work than through his tribute to the famous Rubik’s Cube puzzle in the form of Rubik’s Cake! 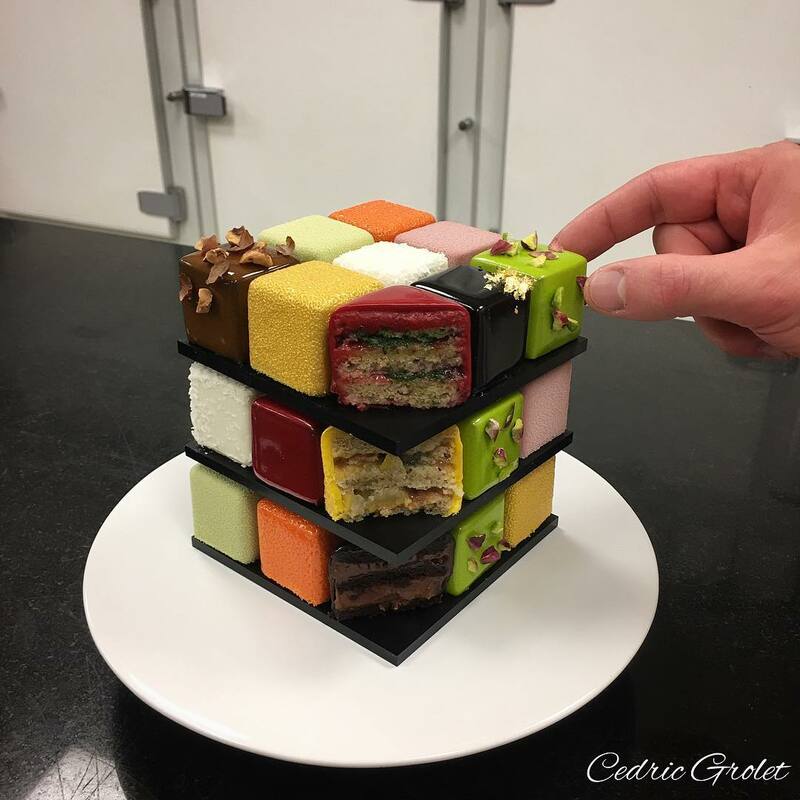 As you’re about to see below, the impressive array of geometrical shapes is a running theme in Cédric’s edible art pieces. 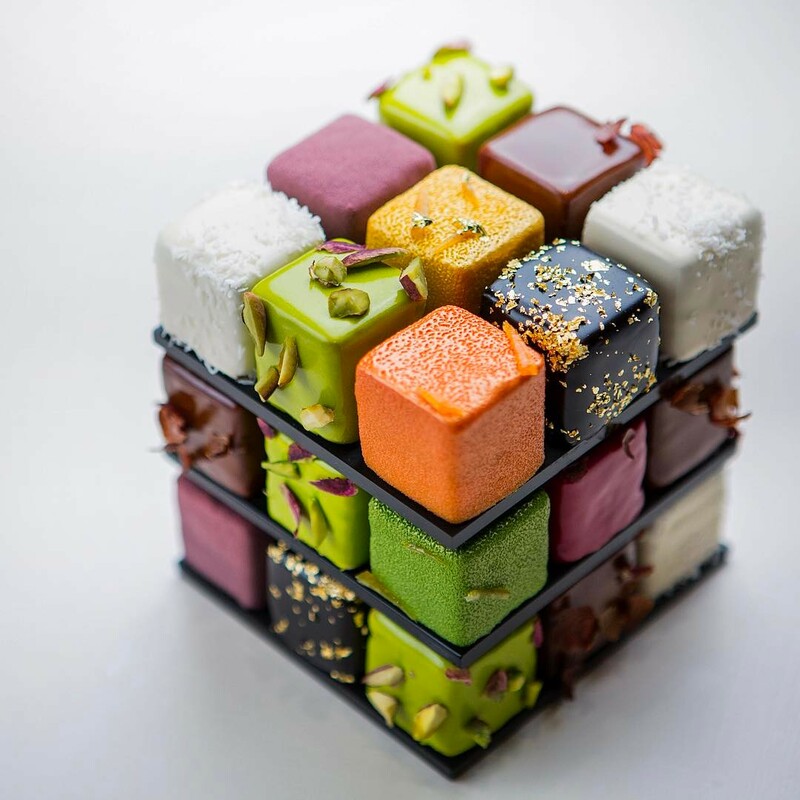 From Rubik’s cakes to millimeter-perfect flower muffins, this French food artist proves again and again why he’s considered to be the very best in the business.